The integration between Structube's Microsoft Dynamics NAV ERP and HighJump WMS provides the company with an optimal solution to increase employees's productivity, minimize preparation errors and improve inventory accuracy. I am completely satisfied with Createch’s services regarding our warehouse management system (WMS). My team has collaborated with extremely competent and conscientious experts who seriously care about the quality of their work. We have, throughout the project, benefited from a very close working relationship with them, thanks to them being with us every step of the way. We are now reaping the rewards of their good advice. 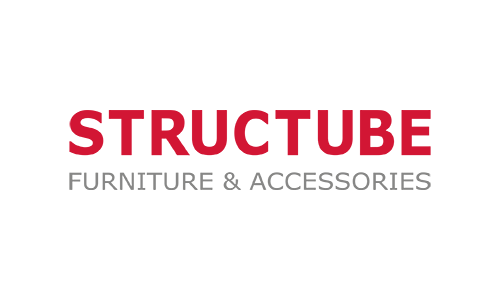 Structube is a retailer specializing in modern furniture and accessories. The company’s mission is to offer a range of state-of-the art furniture and accessories at the best possible price. Founded in 1974, Structube started out on the market with only one store, located at the intersection of Sherbrooke Street and Park Avenue in Montreal. Over time, this small family business has become a flourishing retailer, now Canada’s leader in contemporary furniture. Before implementing an integrated solution, transactions for all the warehouse operations were conducted manually with paper reports. Moreover, we had to rely on employees’ memories to manage warehouse placement of inventory, according to a logical way to sort by products. Delivery time longer than clients’ expectations. However, the main objective of the project was to update Microsoft Dynamics NAV solutions and HighJump Warehouse Edge. Structube wanted to use one system to manage overall sales (Dynamics NAV), related to a solution which can take over the warehouse management and shipment of products (HighJump WMS). Moreover, the company wanted to add a module for retail which combines points of sale (POS), multiple channel management, in-store activities, commercialization, and the supply chain. Accelerate task accomplishment thanks to a better layout of products. The synergy between Createch’s business units attracted Structube. Createch has the skills and expertise that allowed our client to obtain a complete and integrated service for the implementation of an ERP (Dynamics NAV) solution and a WMS system, in addition to getting valuable advice on logistics.